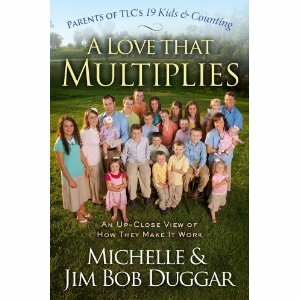 The Duggars have a new book out: A Love That Multiplies: An Up-Close View of How They Make it Work . I want to read it. After having read The Duggars: 20 and Counting (and especially grinning over some of the comments received) I would love to follow up by reading their new book. Because I still like them (and yes, I am aware of ATI.) I still admire and respect this family and I'm very curious to read what they have to share in their new book. Whenever I can work up the nerve, I walk into our local Christian book store and check out the "women's section." Every single time I'm greeted with titles that promise me peace, joy, happiness and a conflict and stress-free existence. I'm told to eat the cookies, buy the shoes, that I'll stay thin, be happy and will never have a problem. I can live my best live now, be happy always and never, under any circumstances, will I have to think about every day life with toddlers. The promises that they promise are quite amazing. If only I believed and/or I could persuade the scale in the bathroom that the titles of the books are true. If only my toddler believed. Let's play a game. I'll send you over to this review and you can come back here and tell me if you notice anything interesting about this particular book. It's kind of like the "That's Silly" game in the Highlights magazine for toddlers. A hem. On a truly happy note - a friend of mine gifted me with a copy of Our Island Story which is about Prince Edward Island. I can't find an image or a link on line to lead you to it, but I was very excited to receive it and even more excited to read it. I can't decide whether or not to save it for the next Lucy Maud Montgomery Reading Challenge or just go ahead and dive on in. We went to Narnia . . .
More on that in the very near future! I have to say that my respect (esteem?) for Joel Osteen went up tenfold when I attended a dinner for this Christian homeless shelter here, and one of the men who had been reformed and redeemed came to Houston from FL or CA or somewhere, because he was sitting in a drug den and God "told" him to leave. He said he used to watch Joel on TV and he'd say, "If you're ever in Houston, stop by and see me," so with no other plan, he went to Lakewood Church in Houston, and someone there told him about this shelter. Pretty cool story, but I do agree with your thoughts about him in general. 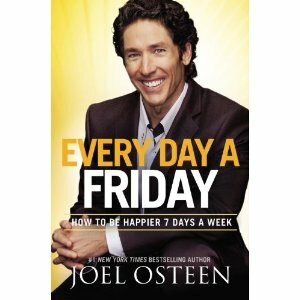 Very skeptical about Osteen; just as skeptical about Heaven is for Real. 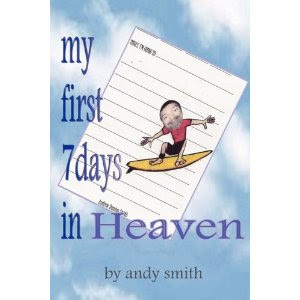 I couldn't tell from the review you linked--does the First 7 days in Heaven guy claim to have gone there also? Or is he just having fun? 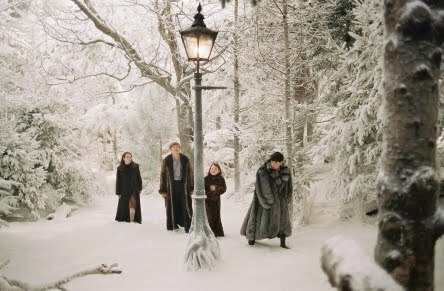 ~Also hoping Narnia exhibit comes a little closer to my home. Narnia-girl - I thought the review was generally ridiculous and uninformative (and horrendously bad.) I think if he had actually been there he wouldn't have written the book. Because there's no way he could have. Bluerose - haha. I know. They still come in randomly. I'm amused. I confess it. Stephanie @ Simple Things - I gave in and ordered it yesterday. Because I have no self control that way! Tee, hee, I ordered the new Duggar book last week and can't wait to receive it! Wow! I looked at the comments on your other post, and everybody has an opinion on the Duggars. I go to a church full of large families (with a few small families also), and we sometimes get branded as a cult, even though we're a part of a mainstream evangelical denomination. Some people are very afraid of the idea of large families, even if no one preaches that this is the way for everyone or that having a big family makes you a better Christian. Anyway, I haven't read the Duggars' first book, but I'd like to, I think. When I saw Olsteen's face as I scrolled down I knew I'd be amused by what you had to say. Wow, I just went back and read some of the old comments to see what people were talking about. I'd like to point out two things - one, the Duggars never say the way they do things is the right way. In fact, they go out of their way to say it isn't. They have nothing against the public education system, for example, they just feel home schooling is right for their family. Second, they do a lot of good things they don't brag about. I was mentioning their laundry soap recipe to another mom when she mentioned offhand, "I stayed in one of their houses once." I was floored - turned out she needed a place to stay with her kids while waiting for twins she was adopting to come out of the hospital, and was looking for a house to rent. The Duggars offered up a house they had bought to resell - and wouldn't take a penny from her. As for older kids helping with younger ones - I should hope so! In the past couple generations we have somehow got into the mindset that taking out the trash and doing the dishes occasionally is all we should expect a teen to contribute to the household. Hogwash! You don't exactly see Michelle running off to play Bingo or watch soaps while the older kids do all the work, do you? I'm not sure what ATI is? I appreciate all I've heard about the Duggars though I've never read about them or watched their show. We had a family in our former church who strongly believed every Christian family should have as many kids as possible and that's why Christianity wasn't the influence it should be, because Christians weren't having as many kids as they could (insert rolling eyes smiley). From everything I've heard, the Duggars do not believe that. It's sad when authors write books based on Biblical topics based on their own logic and views rather than on what the Bible says. Can't wait to hear about the Narnia exhibit! That sounds so cool. Although I won't be having 19 children, I so respect the Duggars. If we could all raise our children to be like theirs, our society would be full of respectful people wanting to serve others. I didn't realize they had a new book out, but I clicked through and ordered it right away! Thanks! Personally I have mixed feelings about the Duggars (or rather, I should say, I have negative feelings about the Vision Forumites they rub shoulders with, and so I wonder about the Duggars themselves). Admittedly though I don't know a whole the family themselves and I would like to read one of their books to learn more about their personal convictions and beliefs. Michelle must be one tough woman to handle 19 kids!